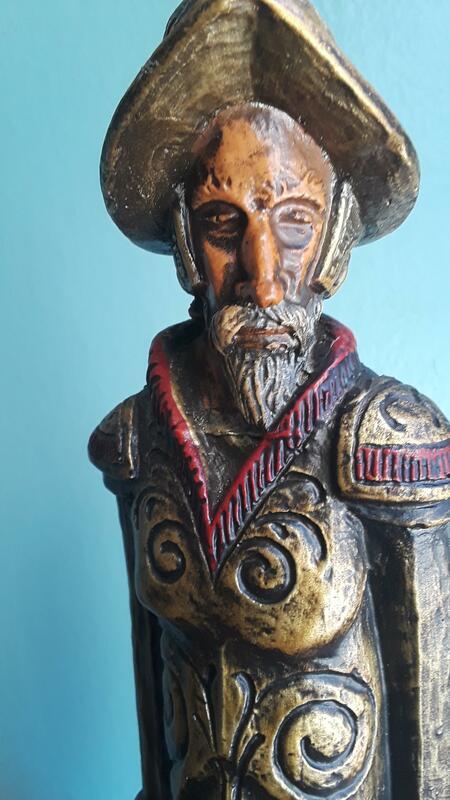 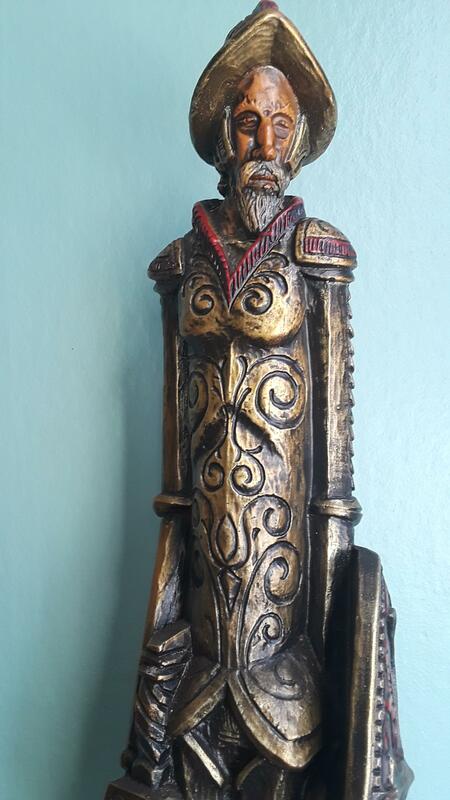 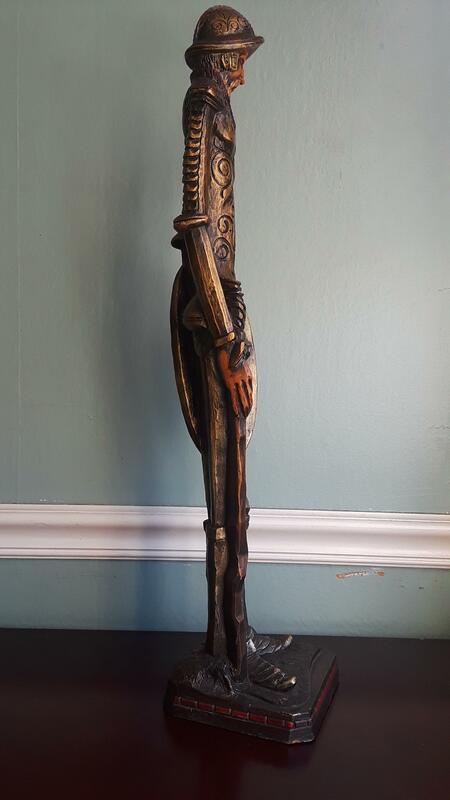 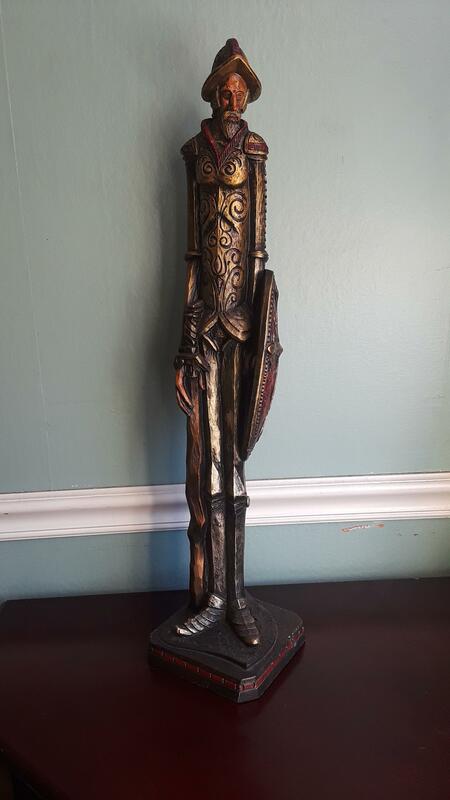 I was given this statue by my parents a few weeks ago, it was given to them by a retired Circus owner. 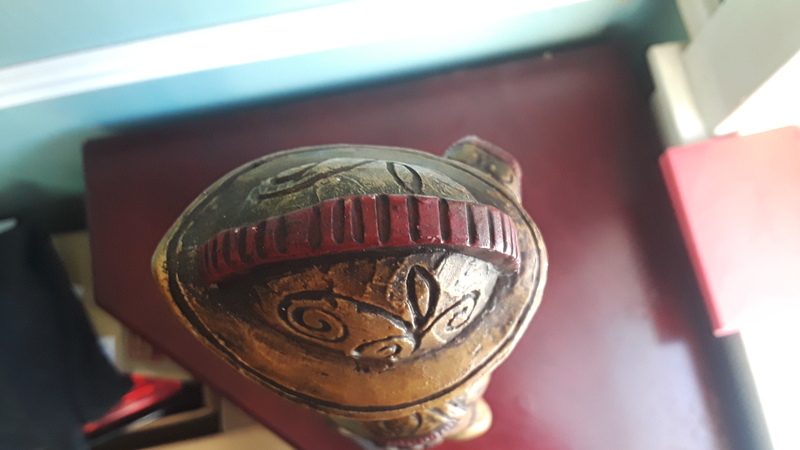 Don't really know much about its history, my parents moved and it was to large to take and I kinda like it so it was given to me. 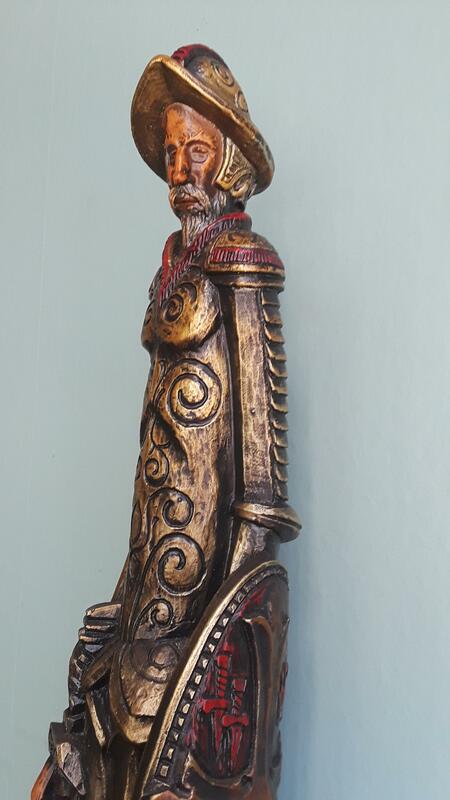 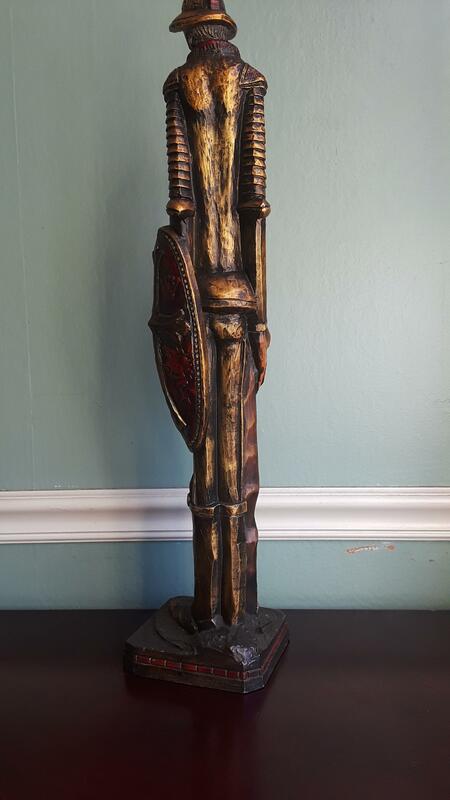 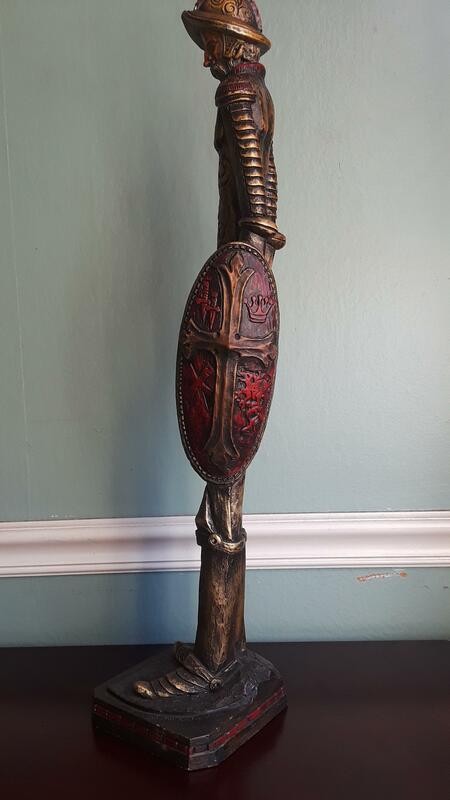 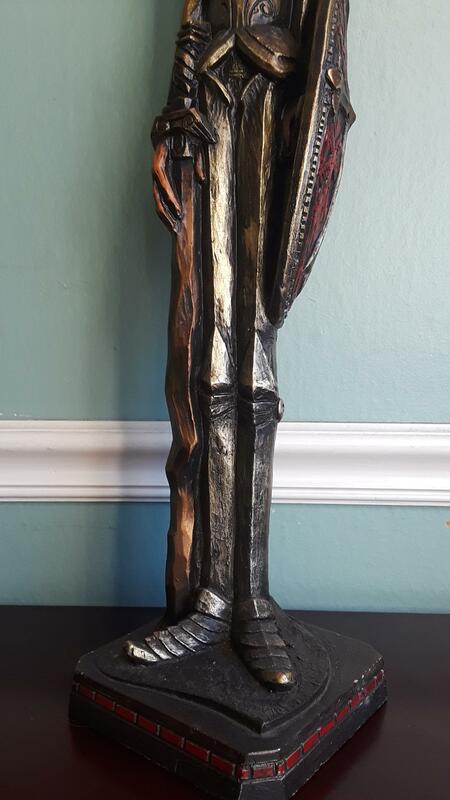 It is made of wood and stands at 26" tall. 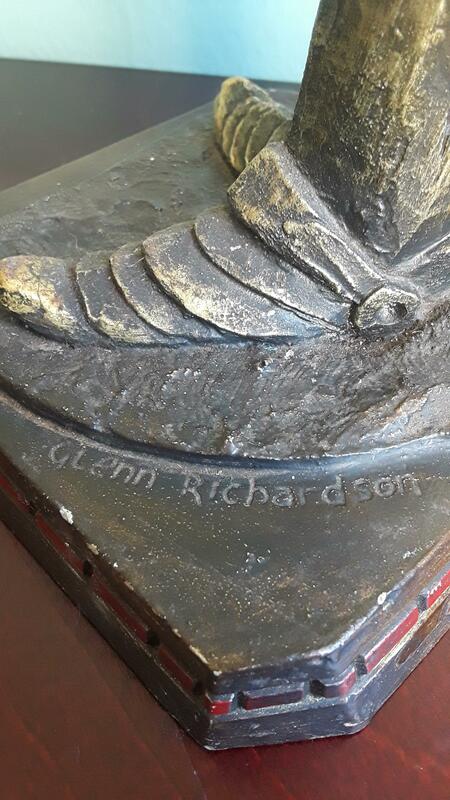 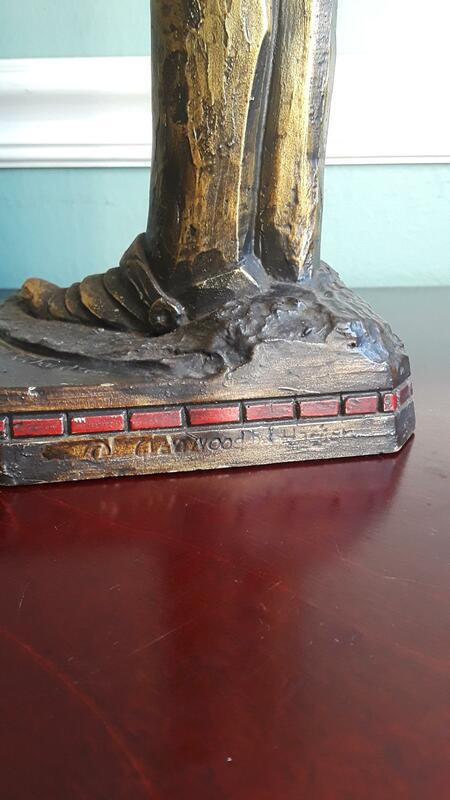 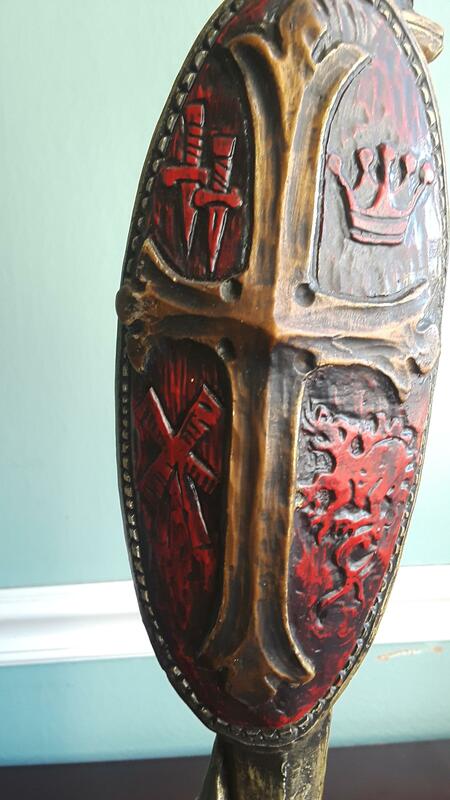 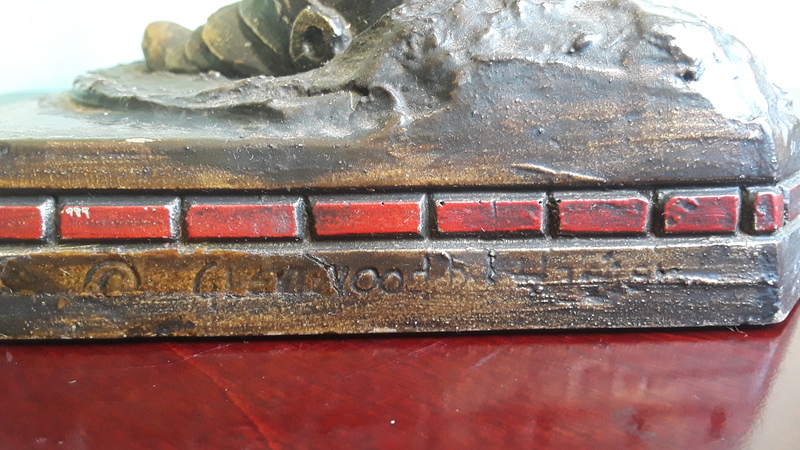 It has been signed by Glen Richardson by the feet and what looks like ©Glenwood by Haeger carved in the side.